Ichthyophthirius multifiliis or freshwater ich as it is more commonly known is a common protozoan parasite that has plagued the freshwater aquariums of fishkeepers for decades. In that time many different cures and remedies have been suggested, tested and established for the public to use. Some of the more powerful treatments however are not the most ideal to use in certain situations. Some aquarists are apprehensive to use such potent chemicals in their tanks when they have some of the more sensitive fish. Others completely avoid these products for ethical reasons. There are alternatives for people caught in these situations. 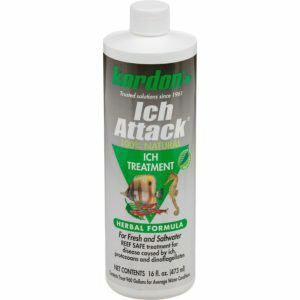 There are now numerous freshwater ich treatment products that use natural and botanical compounds which are not as harsh to sensitive fish and living tropical plants. One example is Prevent Ich and Ich Attack produced by Kordon. These are a preventative and curative treatment respectively that use botanical compounds such as naphthoquinones to treat ich. Acurel Knockout IP is another natural product that’s use all-natural oils to medicate ich and prevent further spread. This product also has Absorpotol which allows for the Knockout IP to be more readily absorbed by the fish and allow the fish to be treated faster. Another plant that has had its extracts used for freshwater ich remedies is garlic. Scientific research has proven the natural curing properties of garlic on ich. There are many products made using garlic extracts such as ingestible foo soaks. Lastly Melafix is an antimicrobial product that uses compounds from the Melaleuca genus, or more widely known as tea tees, to combat various bacterial infections and parasites including ich. The compounds eliminates “masking” bacteria which is used by ectoparasites such as Ich to prevent immune detection. There are many different ways to go about treating ich. Sometimes using more powerful chemical products is necessary for particularly virile cases. Other times softer and more natural products are needed for aquariums with fish that are easily susceptible to strong chemicals. What is important is being informed about all the options available for treatment and what is best for your aquarium. 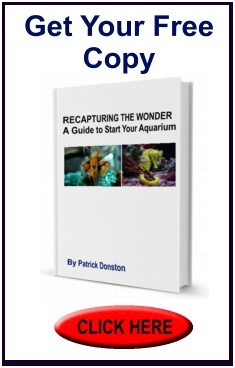 It is ideal for most aquarists to use natural products such as botanicals. There are a variety of these products available to choose from at Absolutely Fish. Also, please come into the shop and ask about our Aquanats Boxes. They are a great way to sample natural and medicinal care products.